I'm the literal worst at sticking with reading challenges and stuff, but I keep signing up for them anyway. #1KBE Reading Challenge is celebrating the upcoming release of A Thousand Beginnings and Endings, a book featuring retellings of various Asian mythologies and legends. This includes stories from East Asia, South Asia, and Southeast Asia. I'm so excited for this challenge. I know that the majority of the retellings I've read come from Western mythology, so I can't wait to read this upcoming book to learn more about Asian mythology and legend. Also, I have read some of these authors' works: Julie Kagawa, Cindy Pon, Melissa de la Cruz, Sona Charaipotra, Roshani Chokshi, and Renee Ahdieh. However, I plan to mostly read new authors. This challenge goes from June 10 (yesterday) to July 1, so I think I should be able to read everything. I have a bunch of other library books checked out so I need to get reading! Are joining this reading challenge? Have you read any other these books? What did you think of them? SapphicAThon is hosted by Tasha, Amelie, Elise, Jamieson, Miriam. SapphicAThon is a readathon where all you have to do is read books that feature f/f romances. There is also a bingo board with challenges, but you don't need to follow it. I don't plan on trying to get a bingo, since my library doesn't have many f/f books and I don't have much money to buy books right now. I'm only setting my goal for five books because of other readathons, but I'm hoping I can read more. What do you plan on reading? #ReadersCrossing is inspired by Animal Crossing Pocket Camp, a game I'm completely obsessed with. The reading challenge is a bingo board with a number of paths and challenges you can complete for points. For the full rules, visit the sign up post. I'm always terrible at keeping up with these challenges, but I'm determined to do much better this time. 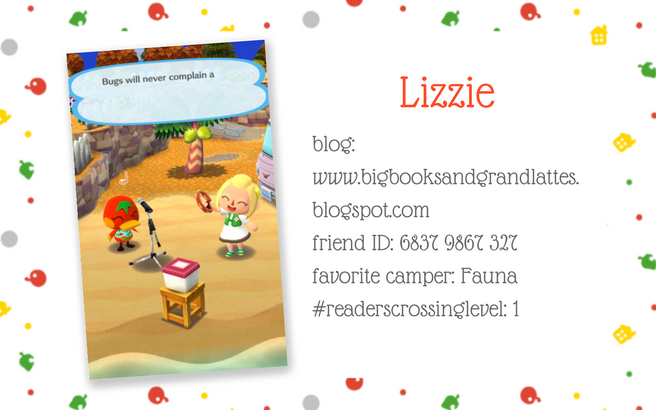 Plus, it also helps that I LOVE Animal Crossing and I'm almost done with the semester. Do you plan on joining? Remember December is hosted by Kathy at Books & Munches. Post a blogpost saying you’ll be joining me trying to reach all those goals and challenges we committed ourselves to throughout the year. Share your list of challenges, goals and whatnot and state what you’re going to try and reach / tick off during this month’s read-a-thon. If you’re sharing your updates on social media, use #RemNovember so we can follow up on each other! Overall, life has been crazy for me. I have so much going on, so I haven't been able to read much. This means that I a little behind on my reading challenges on goals. I'm hoping that things slow down this month so I can get some reading done. Fortunately, a lot of books I plan to read fit multiple challenges. I'm going to try to post updates about the books I read. I don't have a super high goal, I just want to get some books read and I'm leaving things open. Do you plan on joining? What do you plan on reading? The Sbooktacular Reading Adventure is hosted by Novel Thoughts. As you follow the path you will come across sign posts, these sign posts will give you your challenge instructions. Sometimes the signposts will simply give you your prompt. Other times you will have to choose between two different prompts. If you have to choose between two prompts, you will then follow the path in the direction of your chosen prompt. At no point should you ever be moving DOWN the map. You should always be moving from the bottom to the top. Continue up the map until you reach the end of the path. To save space, the signposts only have part of the prompt written, they should be fairly easy to figure out, but there is also a table of all the prompts written in full (scroll down a bit to see it) just in case anything isn’t clear enough. At the end of the path your character will be waiting for you! There are five characters in total. Because I end at reading a fantasy novel, that means I'm Team Witch! I have a lot going on, but I am really hoping to get some reading done during this time, at least during the weekend.